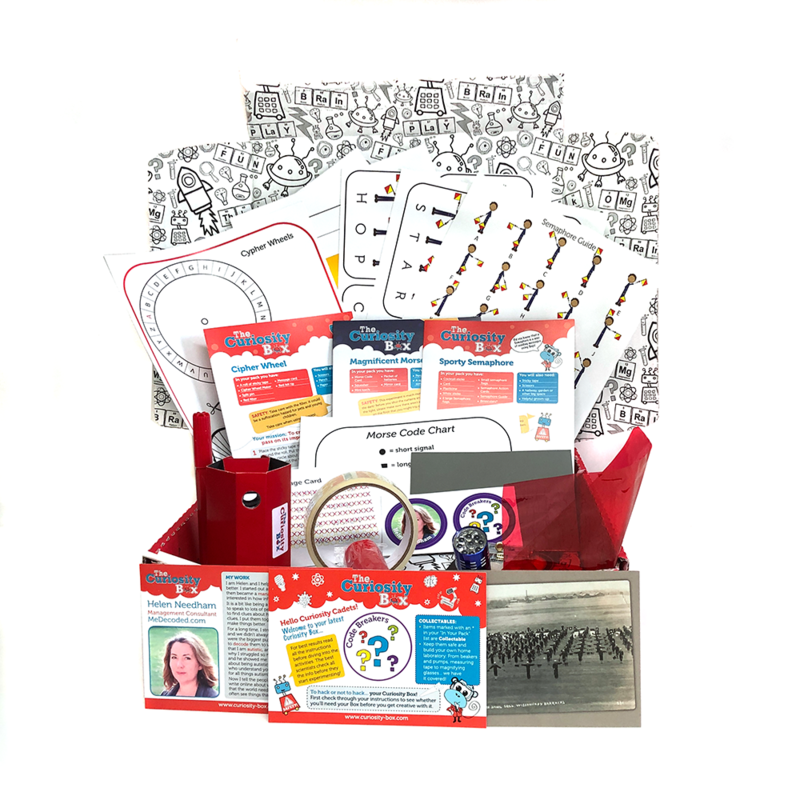 If you enjoy puzzles and working out top secret codes you're going to love this box! We have 3 cracking challenges in this box plus a pair of binoculars and a torch to keep. The activities are Sporty Semaphore (sending messages using flags), Magnificent Morse (pass on top secret messages in the dark using light and sounds), and Cipher Wheel (think Alan Turing and Bletchley Park! ).